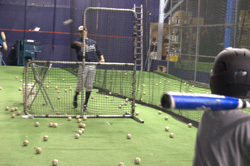 Want to REALLY succeed on a baseball field? Having the confidence to just KNOW you’re going to be able to perform at your peak is so important. 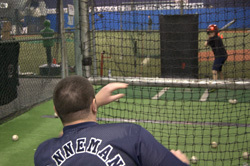 Professional Baseball Instruction offers private and group instruction for players who are looking to take their game to a new level. 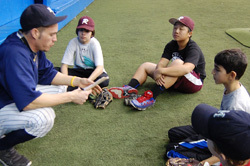 We offer lessons in all areas of the game – hitting, fielding, throwing, pitching, catching, conditioning and base running for players ages 8 and up. Lessons are by appointment only and must be scheduled in advance. 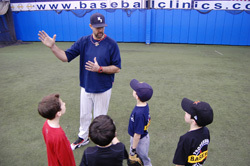 PBI offers private lessons in all facets of the game of baseball for players ages 8 and above. One-on-one instruction is available any time we’re open subject to coach/space availability. Lessons are available in 30-minute and 60-minute sessions. See below for price information. SPECIAL PRICING FOR PBI MEMBERSHIP REWARDS PROGRAM PARTICIPANTS! See the chart below and discover how much you can save by becoming a PBI Membership Rewards Program member. And if you’re on one of our Eagles Baseball teams, you’re already a member! In addition, we offer semi-private and group lessons as well. As with our private lessons, these are by appointment only and must be scheduled in advance. 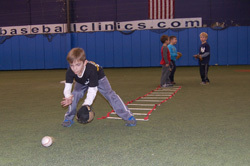 Our mini-clinics are generally an hour in length and can be generic in nature or customized to fit your baseball training needs. See below for price information. Lessons must be paid for in advance and 24-hour notice must be given when cancelling a lesson. Lessons cancelled with less than 24-hour notice will be subject to a 50% cancellation fee. To schedule private instruction, please call us TOLL-FREE 800-282-4638.